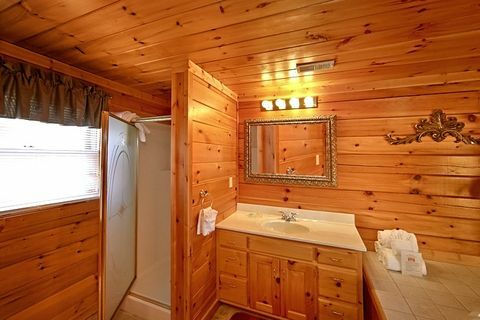 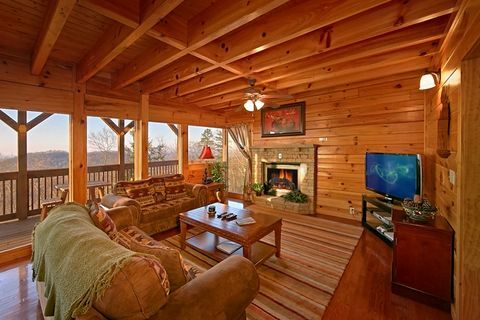 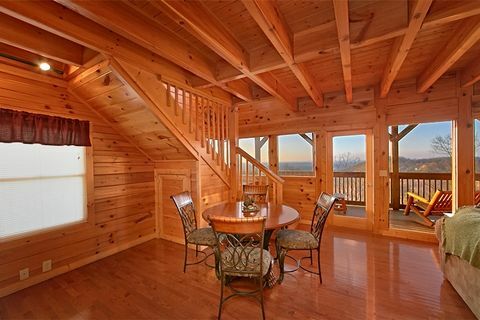 "Lucky Break," a Starr Crest Resort cabin rental near Dollywood in Pigeon Forge, offers vacationers quality cabin amenities. 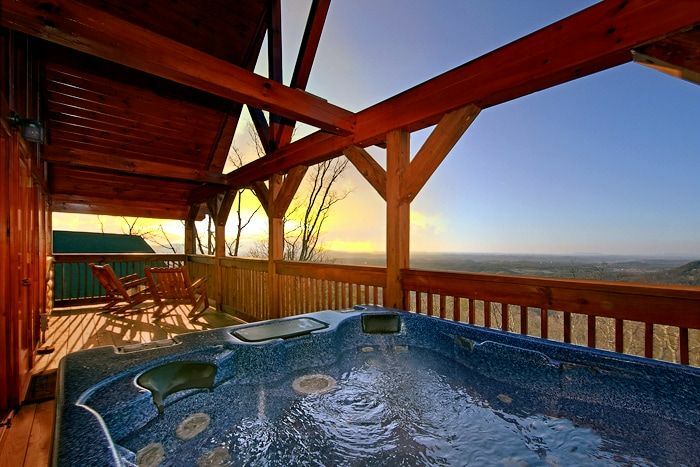 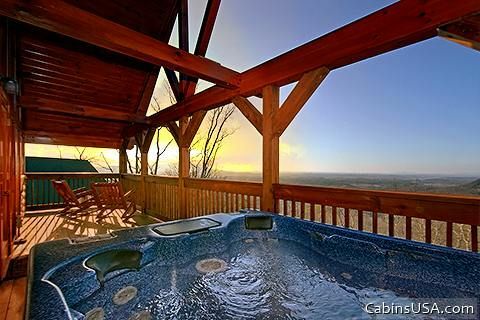 This premium Dollywood area cabin provides guests with resort swimming pool access and beautiful mountain views. 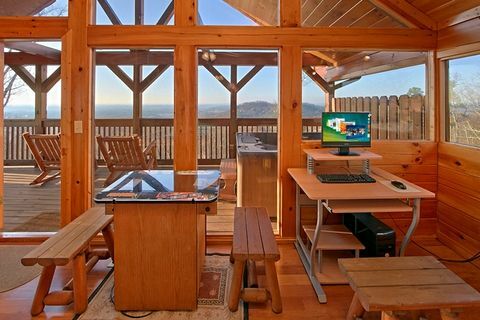 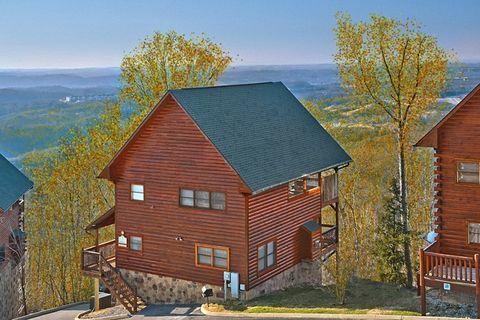 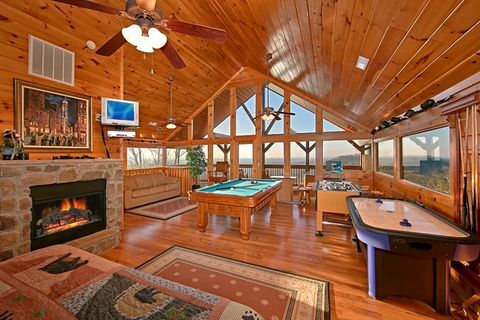 This resort cabin might be the "Lucky Break" in your cabin search! 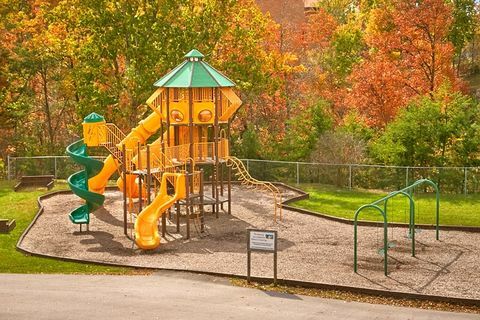 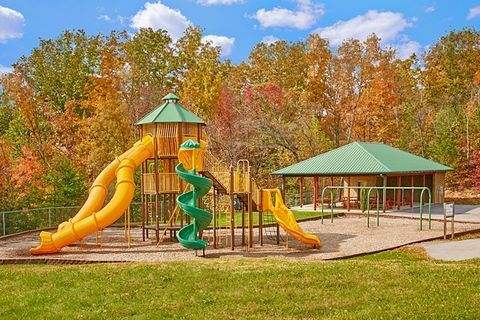 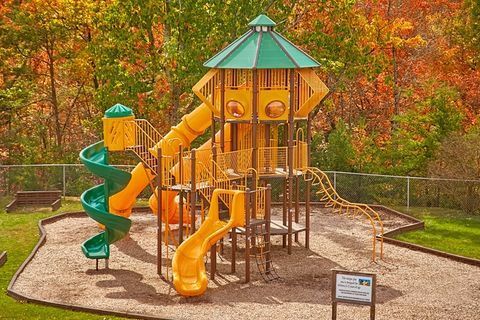 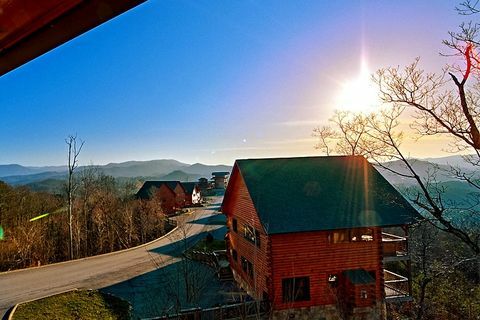 Your family or group will love being close to all the attractions, dinner shows, outlet shopping and more during their Starr Crest resort cabin vacation in the Tennessee Smoky Mountains. 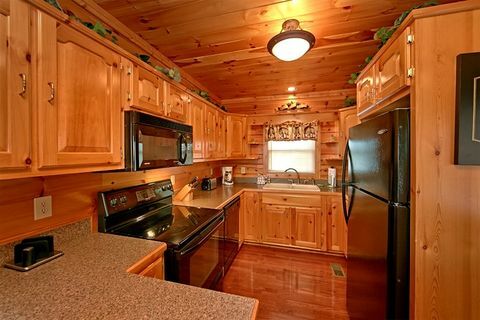 Back at your cabin rental near Dollywood, step into an inviting kitchen with plenty of counter space for cooking meals to serve at the dining table after a long day in the Smokies. 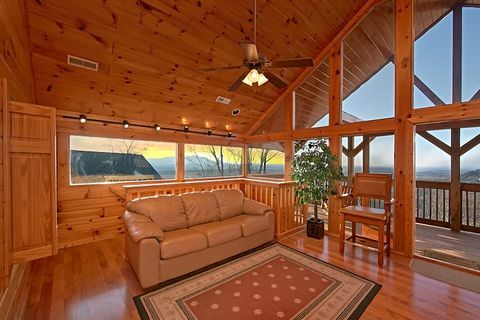 During the winter, relax in front of the gas fireplace to share hot cocoa and family stories. 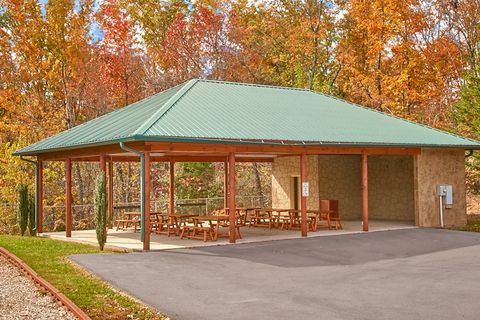 Outside, host a family cookout on the charcoal grill. 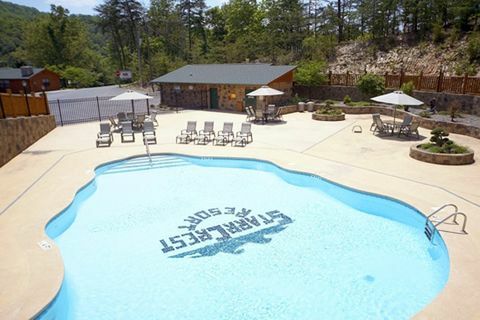 Unwind on your cabin's deck and watch the Dollywood Wild Eagle roller coaster in the distance or head to the resort swimming pool to beat the summer heat. 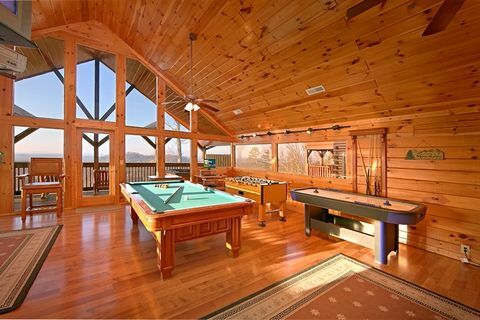 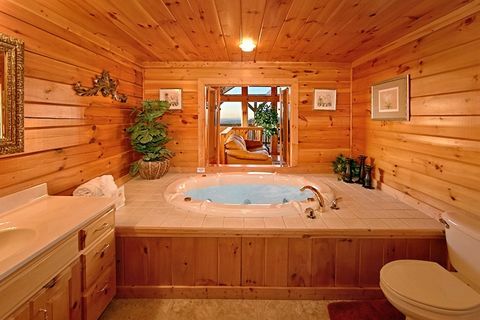 Your Starr Crest Resort cabin offers a luxurious oasis of fun in the Smokies. 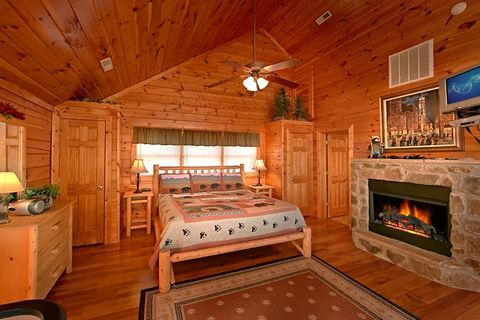 There's WiFi access throughout the cabin and the upstairs oversized bedroom with a king-size bed, fireplace and full bath that doubles as a game room with a full-size pool table, air hockey game, foosball table and a seated video arcade game! 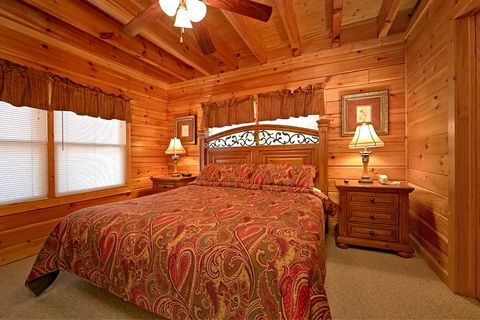 The main level master suite provides a king-size bed and full-size bed. 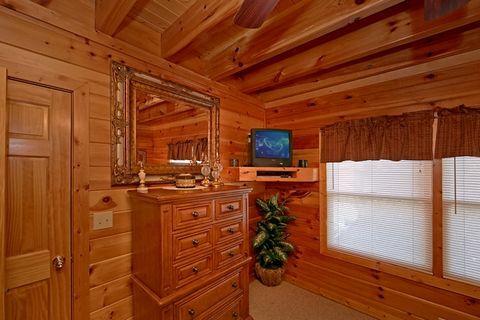 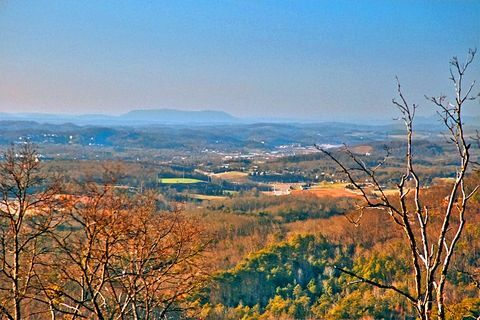 Looking for a cabin rental near Dollywood? 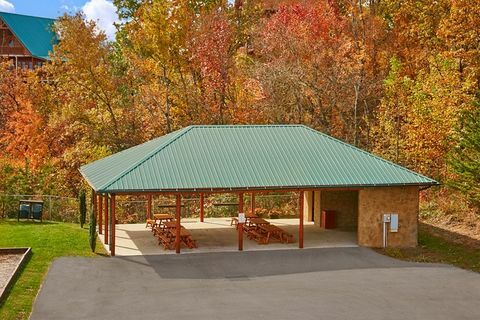 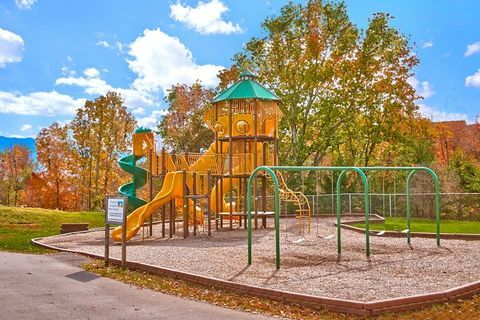 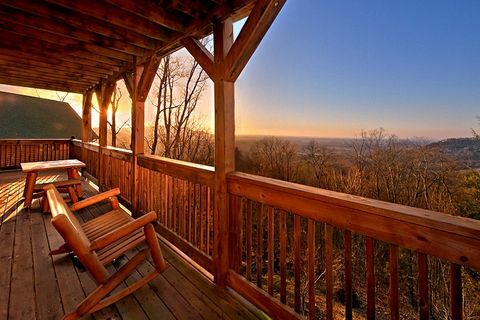 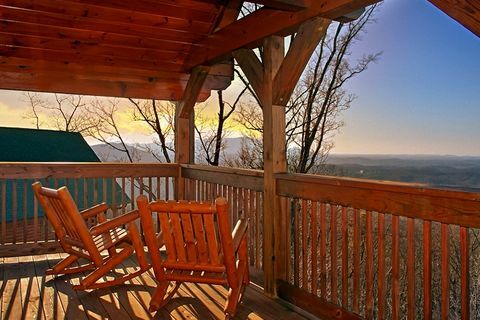 Make "Lucky Break" your vacation destination and get immediate SAVINGS when you book your Starr Crest Resort Cabin ONLINE with Cabins USA Gatlinburg!